Looking for a way to beat the heat?? Cool off with a sweet treat from Arby's. 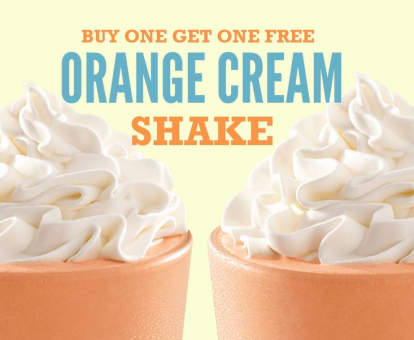 Through July 15th, you can score Buy one get one FREE Orange Cream Shakes. What a GREAT way to treat the kids on a summer afternoon!